Army Chief David Morrison’s robust condemnation of some of his officers’ appalling treatment of women has won him wide praise. Morrison’s YouTube speech (below) was a watershed moment, displaying leadership and clarity that cut through the haze being churned up by the at times fetid national debate on gender issues. The speech was elegant in its simplicity, using direct and uncomplicated language. Morrison defined what appropriate conduct should look like not only for his national institution but perhaps also for a nation. Most importantly from the perspective of achieving real change in the ADF, Morrison merged women’s empowerment with military capability, defining it as more than simply a moral obligation. Instead, he argued that empowerment is essential to what the Army does and will do in the future. Morrison’s speech showed that the Army can do more than simply play catch-up on gender empowerment; it can take the lead on the gender agenda. Another opportunity where the ADF can seize the lead on gender empowerment is presented by UN Security Resolution 1325 on Women, Peace and Security (PDF). The government produced the National Action Plan (NAP) on Women, Peace and Security (PDF) to outline how it will implement UNSCR1325. Defence has responsibilities relating to 17 of the plan’s 22 actions. Vice Chief of the Defence Force, Air Marshal Mark Binskin’s sponsorship and presentation at the Annual Civil Society Dialogue on Women Peace and Security this year signalled that Defence takes its obligations seriously. But, as audience remarks during the Q&A sessions reflected, the underrepresentation of men and other senior defence officers at the event raised doubts about how much the NAP truly guides Defence policy. There’re a number of things that the ADF can do to better demonstrate and publicise its support for the NAP and take the lead on this issue. For a start, it could explicitly engage the NAP as a capability issue, in that adherence to its principles can ensure more effective outcomes for the ADF during operations. General Morrison no doubt drew on experience, but studies support that view as well. 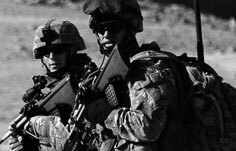 One study (PDF) examined the benefits of deploying Female Engagement Teams on operations, noting that ‘the inclusion of women enhances operational effectiveness in three key ways: improved infor­mation gathering, enhanced credibility, and better force protection’. In the words of General Morrison, in another speech on International Women’s Day, ‘making the most effective use of our female soldiers makes good sense… it enhances our capability… that is a simple truth’. But the NAP doesn’t feel like a priority capability issue. One of the reasons for this is because when the service chiefs, CDF and VCDF talk about capability, they tend to focus on technology and military hardware. As the VCDF himself acknowledged in his most recent speech to ASPI (Word doc), ‘organisational capabilities… including skills, composition, labour force and demographics… often receive less prominence than our major platforms and our major systems’. This disproportionate focus on hardware is out of step with the CDF’s proclamation (PDF) that its personnel are the ADF’s ‘most valuable asset’. The focus on hardware, especially within the speeches of senior defence figures, entrenches the perspective that such issues deserve the most attention from defence policy makers and military scholars. And when senior defence leaders fail to mention the NAP in forums that are well attended by men and senior defence policy makers (including ASPI’s events) they miss opportunities to show that the ADF ‘walks the talk’ on promoting women’s empowerment. If the NAP becomes couched as a ‘women’s issue’ that’s only discussed with female audiences, Australia won’t achieve the objective of integrating gender perspectives into Australia’s security policies and debates. Second, it would be helpful if Defence released an interim report on the NAP at the end of 2013. Defence, like other government agencies, isn’t due to release its progress report relating to the NAP until 2014, making it difficult for those outside the organisation to assess its performance. As the audience comments at the Civil Society Dialogue indicate, there seems to be a heightened expectation that Defence, as opposed to other government agencies, should demonstrate its commitment to the NAP’s agenda. After all, the lack of male participants at the event would suggest that all government agencies were underrepresented by their senior male staff, yet criticism on this point was directed at the ADF. Against the backdrop of the recent culture reviews and the revelations last week, the lack of detail provided by Defence on what it’s doing to further the NAP’s objectives can fuel the perception that it’s doing nothing. The ADF should do more to enhance its positive PR by outlining its achievements on the NAP to date. While the VCDF’s Civil Society Dialogue speech included several examples of women across the services taking on pivotal command roles, the ADF needs to outline how representative these examples are in demonstrating the advancement of women within ADF more broadly. The third recommendation I was going to make was that the ADF should appoint a team to ensure that the NAP is implemented across the full spectrum of defence activities and operations. I’m pleased to say I don’t have to—my understanding is that such a team is being assembled, a very welcome development. Previously, the individual within Defence who was charged with overseeing the implementation of the NAP sat within the Rights and Responsibilities, Fairness and Resolution Branch. By situating the NAP within a rights agenda, the ADF risked undermining its uptake as a capability issue. 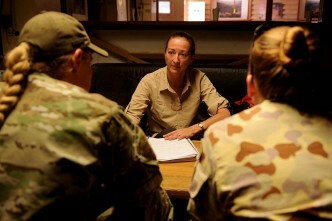 Women’s empowerment within the ADF isn’t so much about rights as it is about realising the potential and capability of the entire organisation (enhancing access to rights will only ever be one element within such an empowerment strategy). If the ADF executive truly believes this, then they need to raise the NAP’s profile and show that it is a vital component of the military’s core business. Roslyn Richardson is an analyst at ASPI.